“Guys Guide to the Divine Feminine” can be ordered at Amazon.com Learn how the Voice of the Awakening Divine Feminine is change Relationships..and how to navigate. Written for the Guys, but the Women will see themselves too! Simple, straightforward, answers you didn’t even know you had questions for! 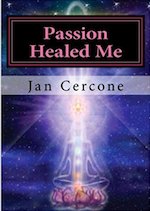 “Passion Healed Me” is available on CreateSpace. And just what happens when spirit tells you are in the wrong life and movie? You begin the path of inner and outer exploration. This is a 3 year journal of figuring out who I am, why I am here and you will see yourself in here…what is personal is universal. Funny, poignant and you won’t put it down. Like living inside a black and white movie that turns very colorful! 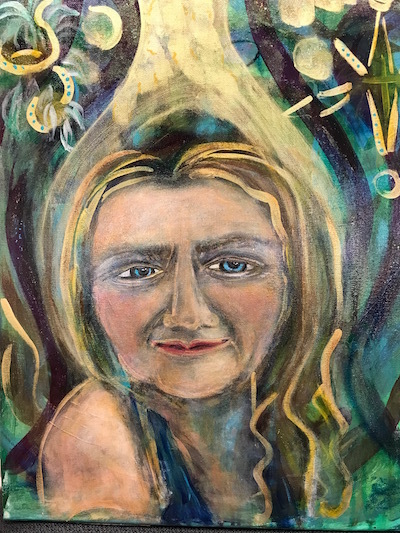 vocals by Jan, this CD is based natural tunings and has Meditative, channeled music to alter your heart, body and mind….and your basic human consciousness. 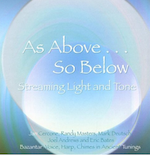 With an intention to activate the essence of the divine feminine, this Cd has been played on Public Radio and streamed thru Music Services worldwide. For those wishing to activate their light body and more. 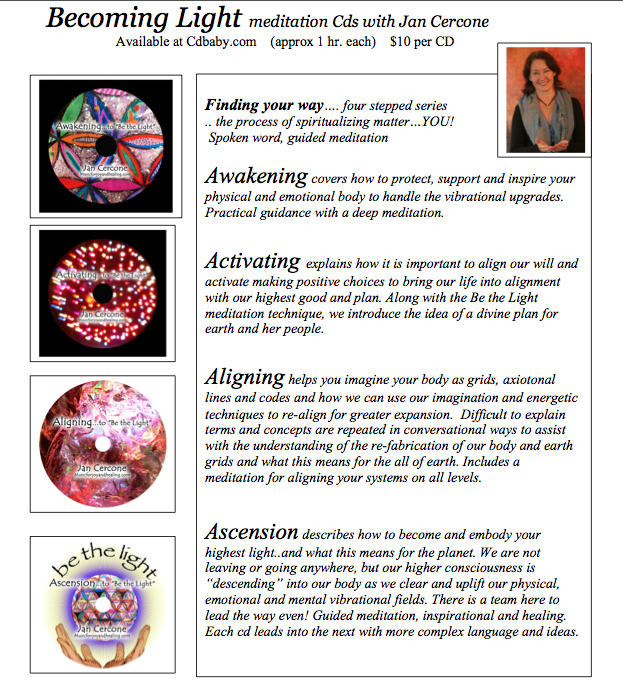 Awakening, Activating, Aligning and Ascension at Cdbaby…four hours of meditation to stair-step your awakening process. Jan, I already listened to your Awakening Cd, it was just what I needed.. I just heard your As Above So Below CD and just about went out of my skin in ecstasy. Thank you for your beautiful voice and angelic presence. beautiful! It definitely seems to tap in to an ancient, living vein. It also reminds me of Tom Kenyon’s work. Are you familiar with him?